Face it, either now or at some point in your life, pizza was your favorite food. Besides, what's there not to love about the cheesy, delicious gift sent from food heaven?! The best part is the fact that they're super customizable. If you're a super chill, not-so complicated eater, you're probably going for a couple of plain cheese slices. 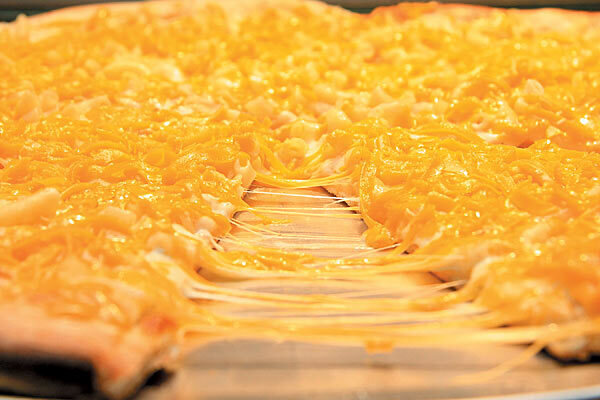 If you're into experiencing a world of flavor, you're probably going with a breadcrumbed macaroni and cheese pizza pie (yes, they exist). Aside from you being a pizza fanatic, there are a lot of people right there with you, especially in the United States, where approximately 3 billion pizzas are sold annually! That's a fact and so are these other 20 interesting ones below. Bon appétit! The typical adult consumes 744 calories of pizza in a sitting. 34 percent of the average American adult’s body fat comes from pizza. Men are most likely to have pizza. Pizza provides approximately 27 percent of the total energy on the day consumed. An average slice of a medium-sized cheese slice ranges from 220 to 370 calories. 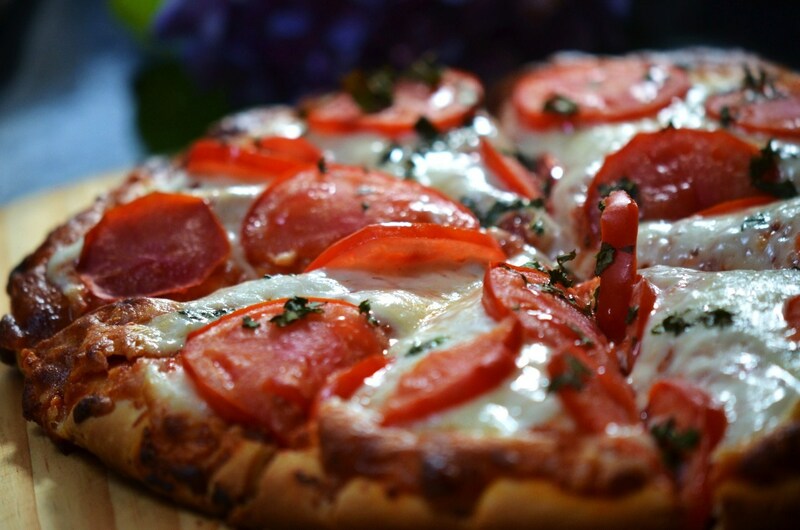 We consume around 251,770,000 pounds of pepperoni each year. 93 percent of Americans have eaten pizza in the last month. That's a lot of cheese. Guess what October is...? National pizza month in the US! Approximately 3 billion pizza pies are sold annually in the United States. 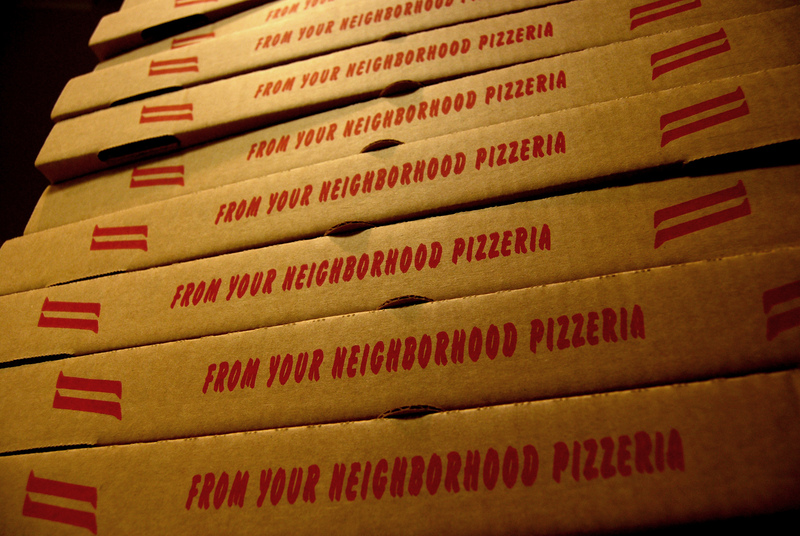 Give or take, there are about 61,300 pizzerias in the United States. The largest pizza ever made was 122 feet, 8 feet in diameter. The pizza needed about 9,920 pounds of flour; 198 pounds of salt; 3,968 pounds of cheese and 1,984 pounds of tomato puree. As expected, Saturday nights are the most popular nights to eat pizza. Eating pizza once a week is said to reduce the risk of esophageal cancer. Believe it or not, mozzarella cheese makes up for about 80 percent of Italian cheese production in the US. Pizza makes up for more than 10 percent of all food service sales in the US. 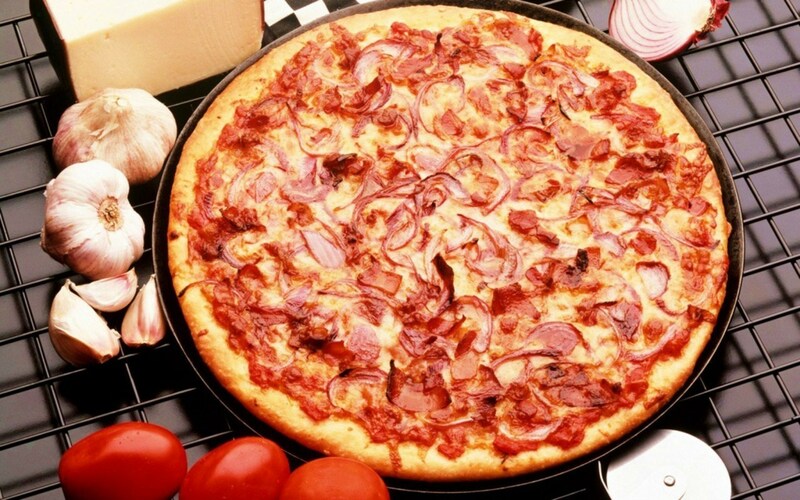 The world's quickest pizza maker can make 14 full-size pizza pies in 2 minutes and 35 seconds. 62 percent of Americans prefer meat-based toppings while 38 percent prefer vegetable-based toppings. 36 percent of Americans consider pizza the perfect breakfast. The most popular size pizza in the United States these days is 14-inches in diameter. Pizza delivery men claim that women are better tippers than men.